Hello and welcome! I have recently relocated to Portland, Maine from Rochester, Minnesota and serve the wedding and portrait photography needs of Maine, Minnesota and beyond. This is the place to check out my most recent work and to get a glimpse into my life. Feel free to take a look around, I'd love to connect with you! Hey! Long time, no blog! You may remember waaaay back to the first part of this year when I did so well with my “iPhone Photo of the Day” using the Photo365 app. Remember!?!? (PROOF: January, February, March, April) and then….well… Four out of twelve months ain’t bad, right? Well, I have an excuse. Sort of. My iPhone freaked out and erased my life phone guts, including A.L.L. my daily photos and captions. BUMMER. And of course I hadn’t gotten around to setting up iCloud or any sort of backup for at least 6 months. Totally my fault and totally not the end of the world but still made me annoyed enough to stop my diligent “Photo of the Day” taking. Anyway, in case you haven’t heard…We moved to Maine! And the pain of losing my photo data has subsided so I may jump back on the bandwagon. At least here’s a start along with a quick video update about life at the Griffith’s in Maine! 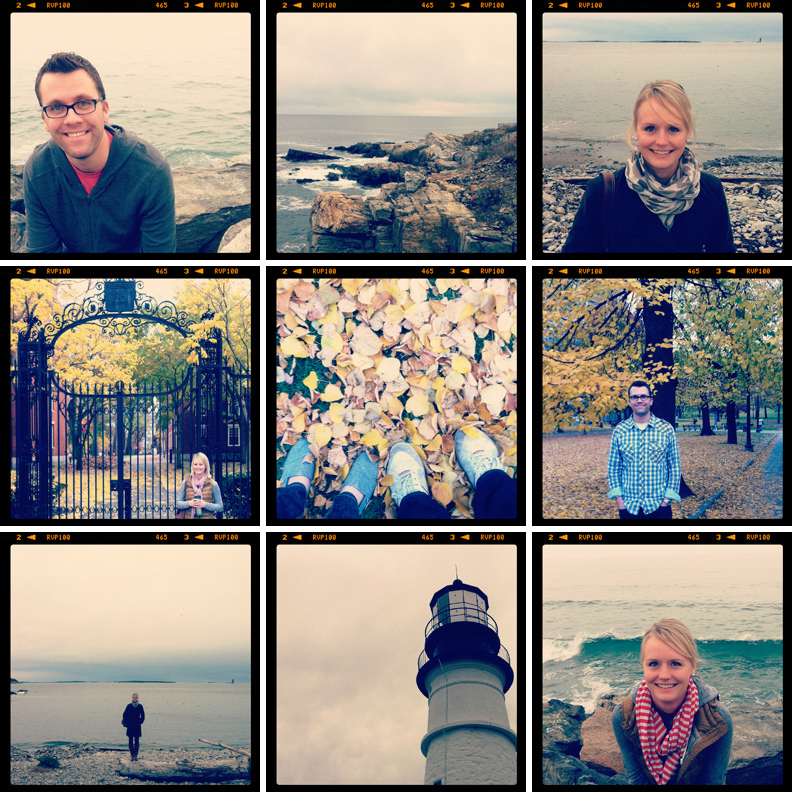 Maine is such a beautiful place – the pics are stunning! Miss your pretty face and say Hi to Justin, Ike, and baby G for me!!! Miss you too! Greetings from one Baby G to the other! Thanks so much! Hope you are doing well as a family of 4!! Yay!! I loved the video and of course the end was the best. Congratulations! We are so so excited for you! Congratulations! Your Mom,Emily told me to try to find this video! Very cute! My brother & wife live in Wilton, Maine & he works at Farmington…all just north of you. We have been there, actually flew in & out of Portland. It is beautiful! Hope you are feeling well & excited! Emily! Super cuute video!!! 😉 Love that baby bump! Glad I got to see it in person!! !